Social work is always a great way to help the society and people, and also clear up the clutter in your mind, make yourself more active, and also get a better personality, thinking, strength of mind and character. This also helps in many other ways, like getting you social recognition, political recognition, and raise awareness of other people for certain causes and work. However you just cannot start and jump into activity all of a sudden. You will have to get the recognition and support of other social activist parties and groups in an area to start something good. 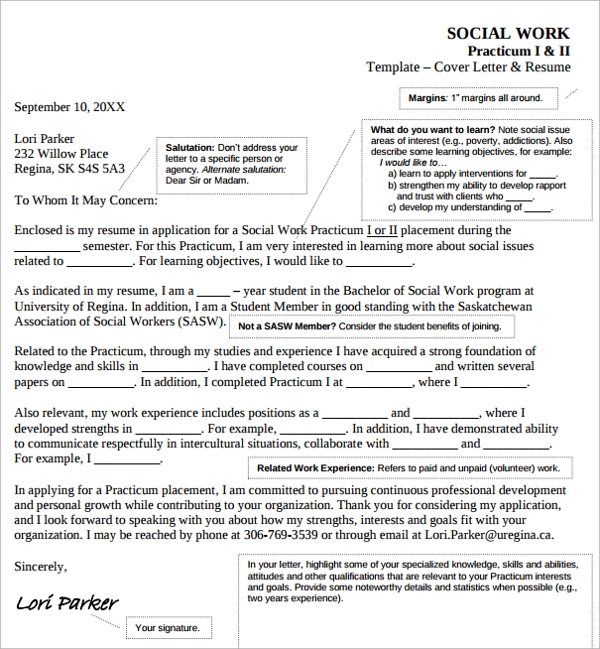 To become a part of such a group, the social worker Cover Letter Templates will help you apply. This will also expose you for many other jobs and fields where social workers are required. 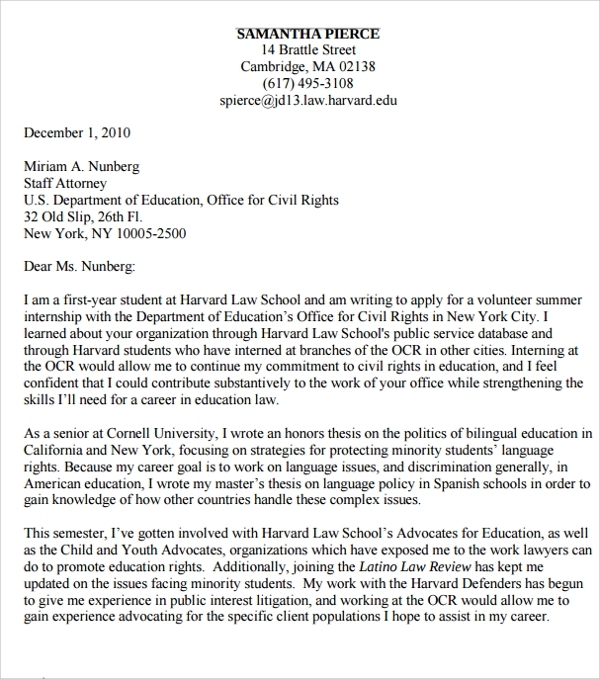 If you want to work for schools, and want to get recognized as a school social worker, who works for the welfare of schools, then your cover letter can be made by following this template. This will help you sketch a perfect introduction of yourself as the school social worker. A hospital social worker works for the betterment of hospitals and works on medical and health based grounds. To get a post in nearby hospitals for their welfare, you can apply for the same with this format of the cover letter. The template will guide you to form a completely informative cover letter. As a youth, and working for the youth, with more youth power, you can accumulate a group, or may apply in some other youth based group. 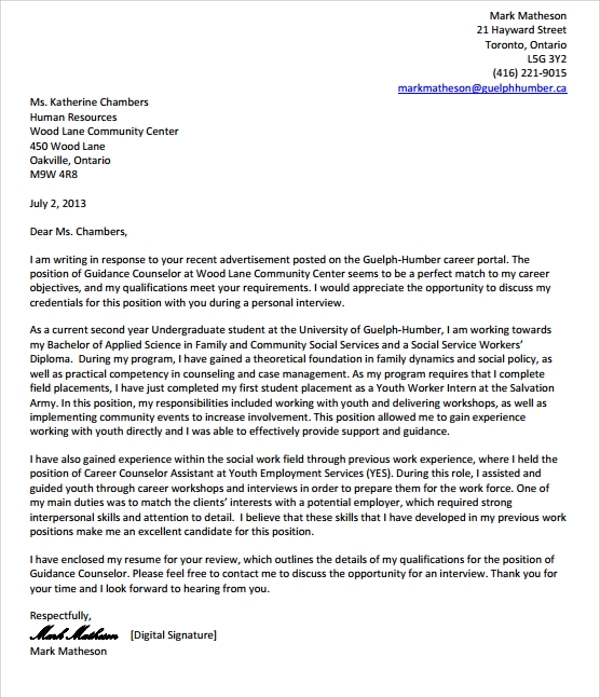 This will require you to apply with a cover letter, and this can be made best when you get guided by the youth social worker cover letter template. 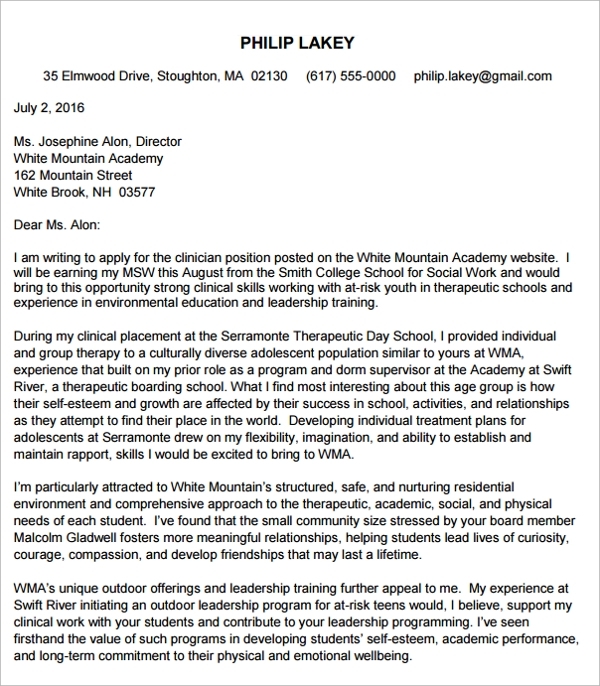 The social worker cover letter is a nice way to express you interest, enthusiasm, and experiences if any to work as a social worker. There may not be a resume style to apply as a social worker, as this kind of job does not have a fixed pattern. Working for the society and human welfare has diverse job role. But a cover letter will express the applicant’s potential about working in this job role. 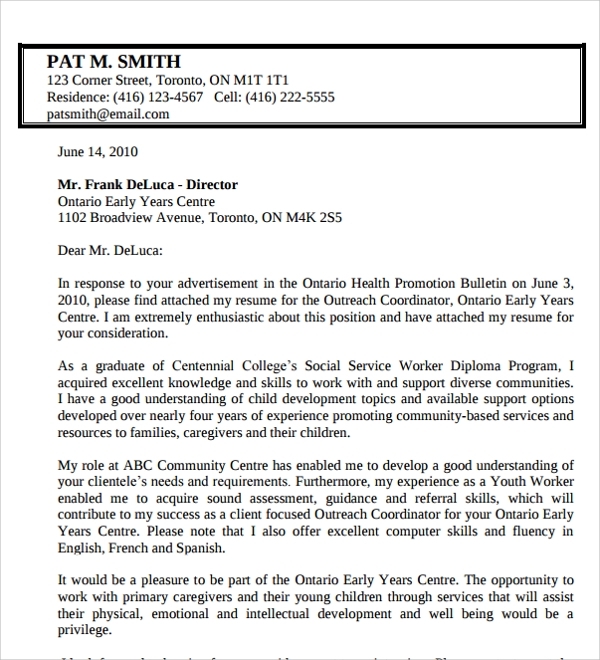 To make it look best, so that you are accepted immediately as the social worker, or get funds and charities from organizations when you apply there, you must work on the letter format. 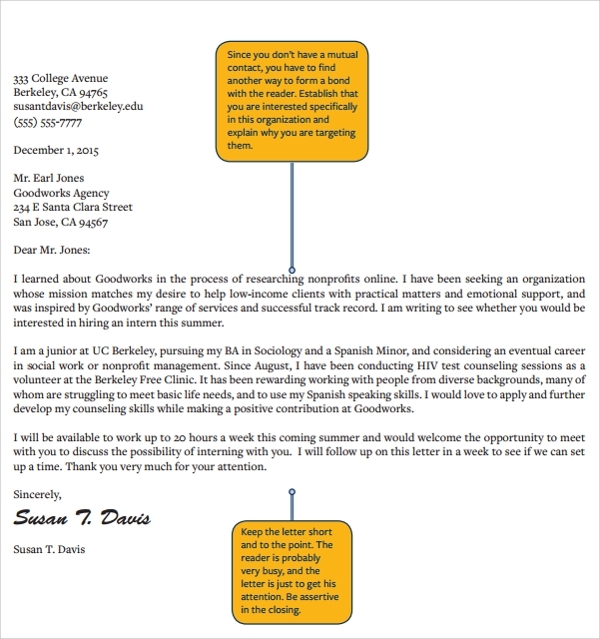 The cover letter is a great way to express your skills and talents for being a good social worker. 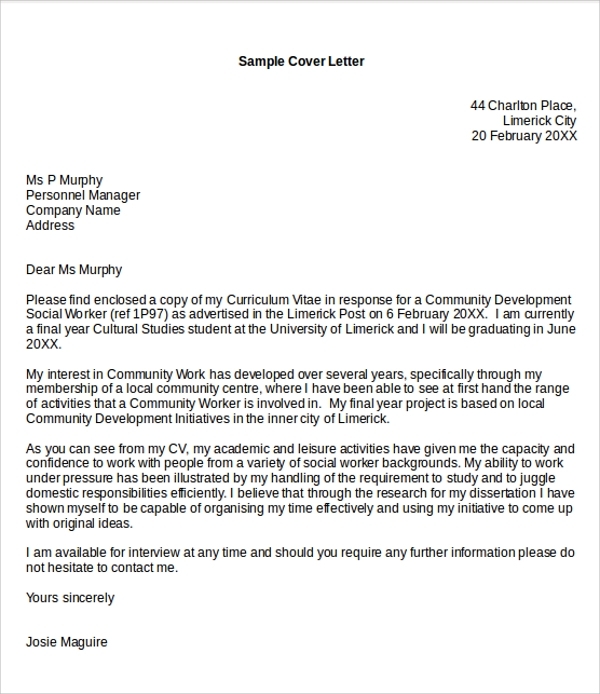 To make the cover letter look its best you can always make use of a guided pattern. Templates which are designed by professional are best match for this. When you make a cover letter while following the style in the template, you actually make the facts about yourself more presentable, and make your motto and skills more attractive. The language, format, presentation all have their importance, and the better you show and present, the better you grab attention. And social work is a field, where you must grab attention from the beginning with good work. 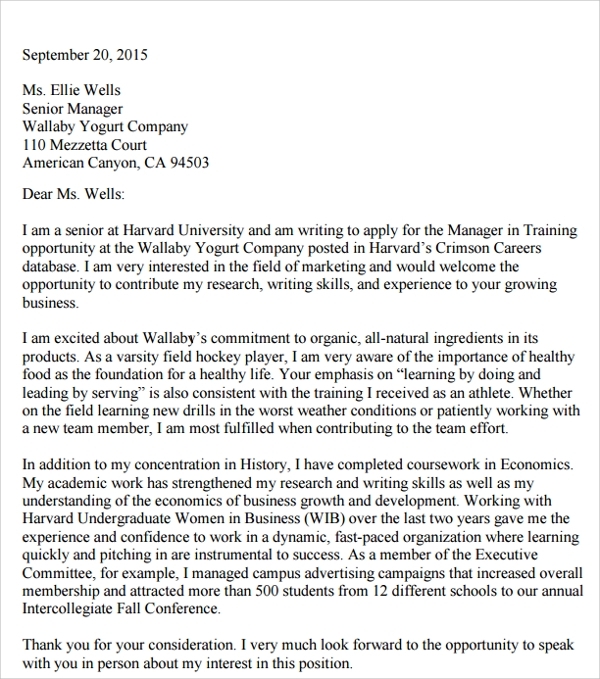 Start by making you Generic Cover Letters smart and appealing with templates. The templates can be best used when you first decide what kind of background and associated template you are looking for. Get that one downloaded first, and the get ready with facts about you. Start part by start, and keep on making a nice presentation as guided by the template format. Add in more details as required, and if anything is not relevant then just remove it. This way you finish the drafting, and then you can make a fair copy of the cover letter to finalize. 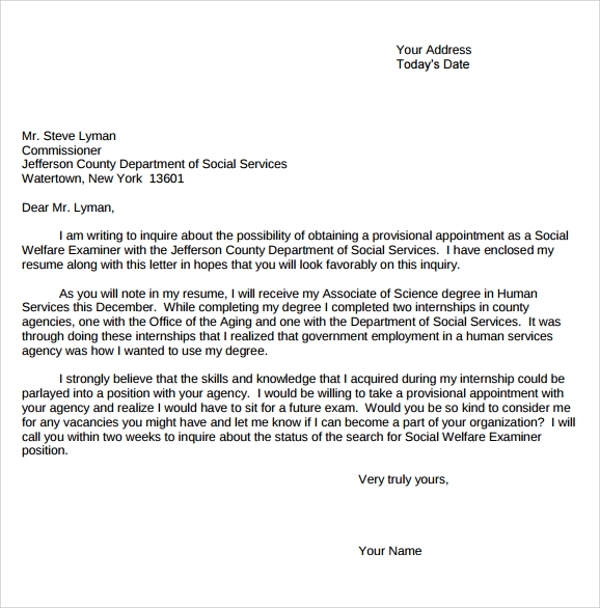 This makes the social worker Cover Letter Examples ready for you, and it makes very little use of your precious time and effort. 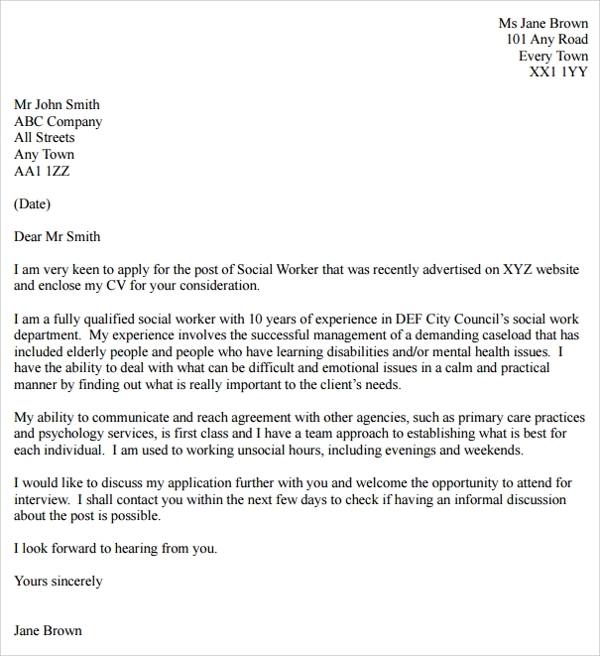 Now that you know how to prepare a social worker cover letter, you can easily make great use of any nice template to finish off the job without mush thinking. As you save the time and energy to think and draft the format, you can invest it in real social causes, and get acclaimed for the job.